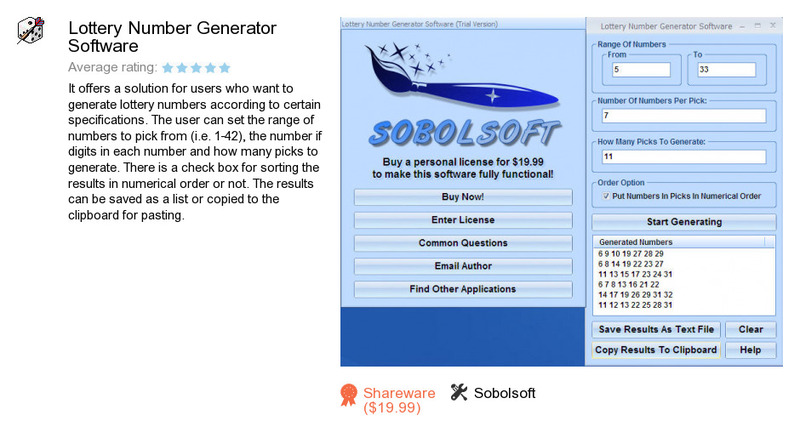 Lottery Number Generator Software is a product developed by Sobolsoft. We know of versions 7.0, 3.0, 1.0. Version 7.0 is available for free download at our site. Lottery Number Generator Software package has a size of 15,498,386 bytes. Sobolsoft also publishes Strip HTML Tags From Multiple Files Software and MySQL PostgreSQL Import, Export & Convert Software.